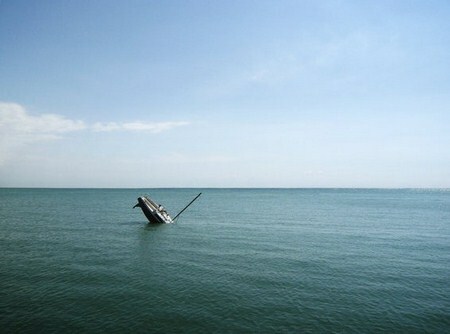 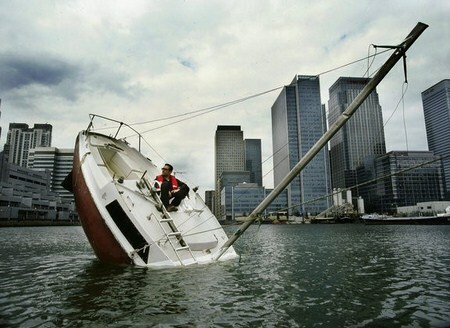 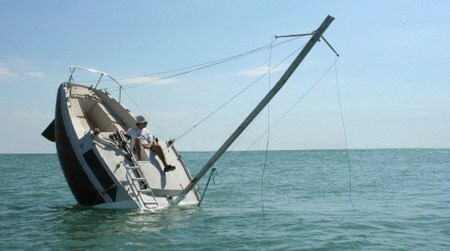 French artist Julien Berthier has designed a fully functional boat to look as if it is sinking. 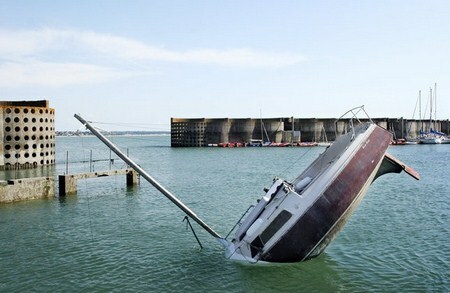 The 6.5m (21ft) yacht was cut in half with a new keel and motor added so it remains in the sinking position while being fully functional. 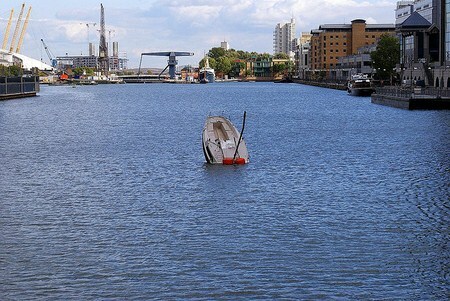 He built this the floating installation in 2007 and named his creation Love Love. 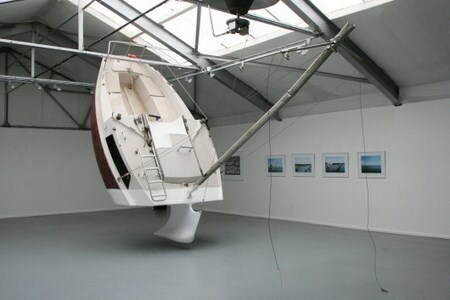 He describes it as "the permanent and mobile image of a wrecked ship that has become a functional and safe leisure object."